You can escape the horror of the galaxy - but only for a while. In the wake of disaster, our heroes are on the run from a resurgent Galactic Empire. Unable to escape the patrols, they find themselves trapped on a distant world. But where have they been abandoned? And how can they possibly survive? While the rebels try to figure out their situation, romance might be in the air between Luke Skywalker and Tula - and also between Han Solo and Princess Leia! But there's little time for emotions for the stranded rebels - not when enormous, ravenous monsters are on the loose! And not when their hideaway turns out to not be so secret after all and old foes close in! 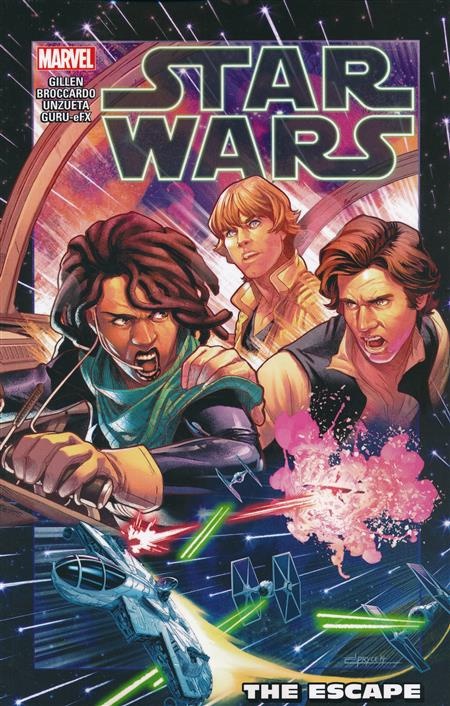 Collecting STAR WARS (2015) #56-61.